A fairy is a mythical being or legendary creature in European folklore, living in secret gardens and enchanted follies. Much of the folklore about fairies revolves around protection and was shaped in literature during the Victorian era – a magical time when our heritage with Welsh gold began. 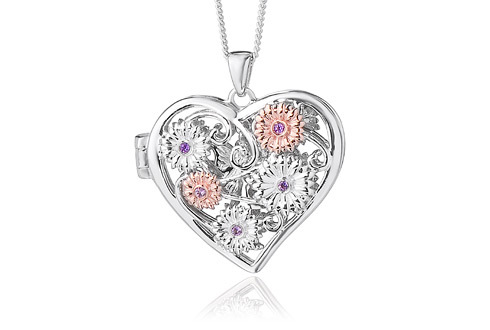 This beautifully hand-finished silver and rose gold pendant contains rare Welsh gold and is set with sparkling amethyst.